There are 1,440 minutes in a day. You know what that means don't you? That means, almost certainly, no matter how busy you are you do have time for a 30 minute workout! I mean, think about it, that gives you 1,410 minutes to do whatever else you want with. The trick is, you simply need to utilize that 30 minutes you dedicate to your workout to the maximum. That's where your Gymboss Interval Timer comes in. 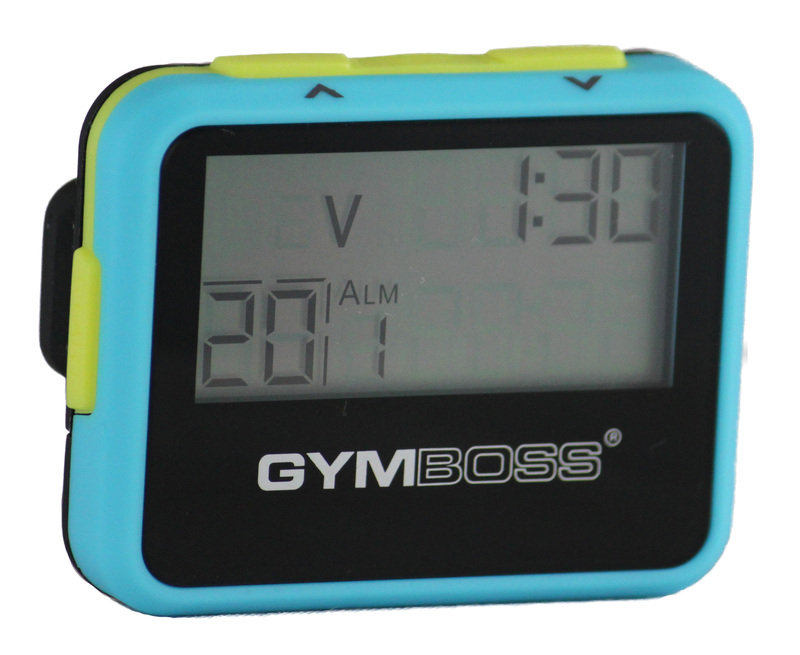 With either the Classic or the miniMAX, you can easily set up what we call the Gymboss 20 sets in 30 minutes. So for example, let's say it takes you :30 seconds to do a set, this will give you a 1:00 rest before the timer beeps again and it's time to start the next set. If it takes you :40 seconds to do a set you will only get :50 seconds of rest, etc etc. 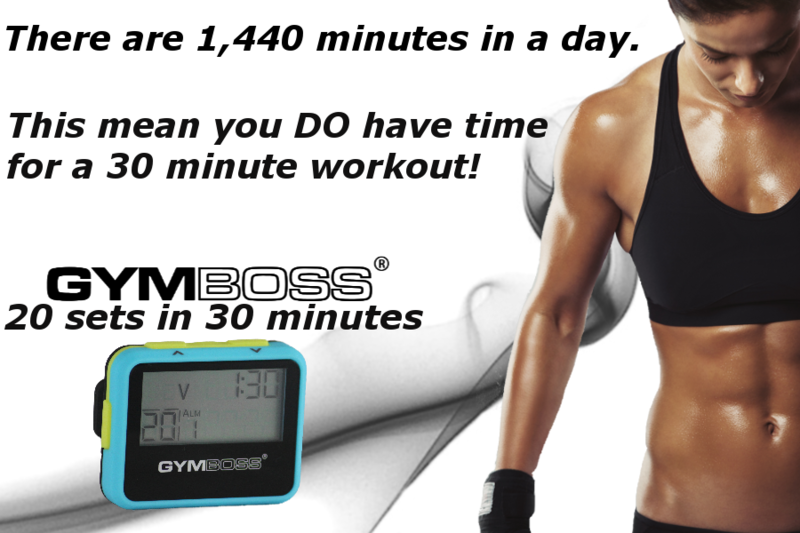 You can use the Gymboss 20 sets in 30 minutes for innumerable types of workouts, chest, back, arms, legs, anything. Just remember, the clock is always ticking so you only get 1:30 to complete each set and rest, before it's time to start again!